Utilized in lab testing, component, battery, & dynamometers to name a few. Range from -40ºC to 88ºC Leaving Fluid Temp. 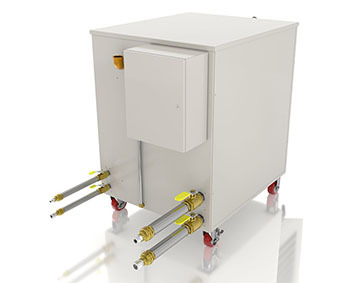 Our outdoor/mobile chillers feature easy to use standardized control components which are time tested and widely available throughout the global marketplace to create a system engineered for years of reliable service. All OptiTemp chillers feature a full one-year parts and labor warranty.